Making good ministry hiring decisions is both an art and a science. On the subjective side, you have to discern whether a candidate has the intangible likability, relational skills and emotional intelligence to succeed in ministry. On the objective side, you have to be satisfied that a candidate can do what needs to be done with the requisite skill, integrity, energy and team chemistry. Ministry interviews are unique in their requirement that both the interviewer and the candidate seek God’s will throughout the process. Since calling is essential for any ministry hire, both parties have to exercise spiritual wisdom, discernment and prayer at every turn. After initial resume screening, the first two candidate steps in a ministry interview process often include an initial phone call and a formal phone interview. Introduce the church and community. Preview the ministry department and team. Understand why the candidate is interested. Ask the candidate to pray about the opportunity. Confirm the candidate’s desire to enter the process. Consider using a rating system to score ministry candidates on the first phone call. This mitigates against becoming too attached to a particular candidate too early in the process (the “halo effect”). It also helps prevent emotion from driving your hiring decision. If the candidate is interested, and scores well on your rubric, then the second step is a formal phone interview. This is the time to have a prolonged first conversation with the candidate. It’s usually the first opportunity to ask significant questions about the full range of issues that determine ministry effectiveness. Called – Is the candidate called to ministry, your position and your church? Character – Does the candidate exhibit a habitual pattern of integrity? 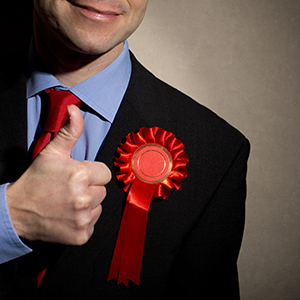 Competence – Does the candidate have the essential skills needed to get the job done? Catalytic – Does the candidate bring energy and create activity to make things happen? Chemistry – Is the candidate likable and a team fit? I ask candidates a series of questions in all five categories with a phone interview Q&A worksheet. The goal is getting answers to important questions about calling, character, competence, catalytic energy and team chemistry. Make good hiring decisions with initial phone calls and formal phone interviews. Then use the 5 C’s to evaluate a candidate’s calling, character, competence, catalytic energy and team chemistry. “Servants Make the Best Leaders” on Serve. Grow. Lead. “Six Steps to Smart Hiring Decisions” by Max Messmer, Business News Daily (March 20, 2013), http://www.businessnewsdaily.com/4181-hiring-tips.html. “The Five C’s for Picking Staff and Volunteer Leaders” by James Emery White, Church & Culture (March 10, 2014), http://www.churchandculture.org/blog.asp?id=5645.